State lawmakers got the skinny on how Colorado regulates the sale of recreational marijuana Wednesday. THE LOOP — Colorado is funding public schools and rehab programs with tax revenue from legalized marijuana — and it's time for Illinois do the same thing, state lawmakers were told Wednesday. Supporters of legalizing marijuana in Illinois addressed a panel of legislators in Chicago Wednesday and brought in a ringer: the chief tax collector in Colorado, who explained how legal weed is helping fund essential state programs. Barbara Brohl, executive director of Colorado's Department of Revenue, told the panel her state's recreational marijuana program brought in nearly $200 million in new taxes last year. Brohl's appearance came at the request of state Sen. Heather Steans and state Rep. Kelly Cassidy, two Edgewater Democrats who are hosting public forums on legal marijuana as they try to push legalization measures through Springfield. Steans said the bills won't come up for a vote before the end of the General Assembly's session ending May 31, but the delay isn't deterring her efforts. More than 700,000 Illinoisans use marijuana, she said. "I have been convinced doing tax and regulation makes sense," Steans said. "Prohibition just does not work." Calls to legalize marijuana have grown louder in Illinois as state politicians struggle to pass or balance a state budget. Chicago Public Schools may close 20 days early this year due to a massive budget hole. Colorado implemented legalized recreational marijuana in 2014, making it among the first states in the country to do so. The law propped up a new billion-dollar industry that has led to marijuana tourism and hundreds of millions worth of new tax revenue for the state. Colorado taxes recreational marijuana three times. The state levies a 15 percent excise tax on wholesale marijuana when it leaves cultivation centers, and all that revenue is directed toward public schools. The state charges a 10 percent special sales tax on consumers, most of which goes toward substance abuse treatment and prevention efforts, and the rest is distributed among local governments based on their sales. The state also levies a 2.9 percent sales tax on recreational marijuana buyers. Brohl said legalized marijuana delivered nearly $200 million in tax revenue to Colorado coffers last year, and the amount of tax revenue is only projected to rise. 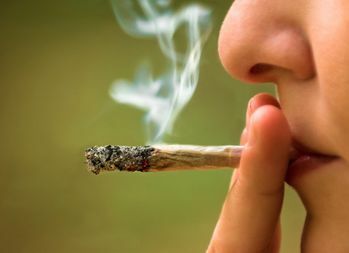 As it is in Colorado, marijuana tax revenue would be earmarked for public schools and substance abuse prevention and treatment, under the bills proposed by Cassidy and Steans. Not that the program is without challenges. Colorado lawmakers are introducing measures to combat the state's newfound "gray market," or marijuana that is grown legally but distributed illegally, Brohl said. Colorado police use controversial blood tests to detect drivers impaired by marijuana, but administering the tests and prosecuting impaired driving based on them can be tricky, she said. And contradicting studies on marijuana's health effects put into question how accessible the substance should be. "What keeps me up at night is that 22-year-old person who walks in and buys it legally and gives it to their 15 or 16 year old sister," Brohl said. "That’s the reason we’ve done a number of things, including education." And there's the fact marijuana is still an illegal substance in the eyes of the federal government. The Obama administration opted not to prosecute marijuana legalization efforts led by states, but whether the Trump Administration will do the same is uncertain. "There is a difference between facilitation and regulation," Brohl said. The specter of federal prosecution is a risk marijuana growers and sellers "have to take with eyes wide open," she said. The lawmakers were met with a crowd, including suburban police and other Illinoisans, mostly against legalizing marijuana. One opponent of the measure is Judy Kreamer of Naperville, who said she has a friend with a son in rehab after ingesting marijuana edibles. "Primarily, I'm worried about children and what will happen to them," Kreamer said.